Flush with Revenue, Should Texas Cut Property Taxes or Pay for Long-Overdue Projects? 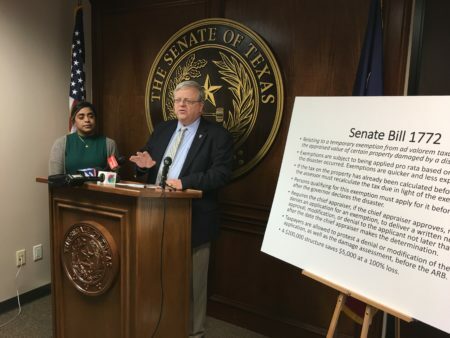 Tyler Republican State Sen. Kevin Eltife is working to build support for a combination of bills he believes will provide both a property tax cut and set a path to spend money on deferred road maintenance and paying off some pension liabilities, among other state needs. Eltife argues that while the state is unusually flush with revenue, it might be a good time to address some issues the legislatureâs punted on in previous sessions. Which path would actually better serve Texans? 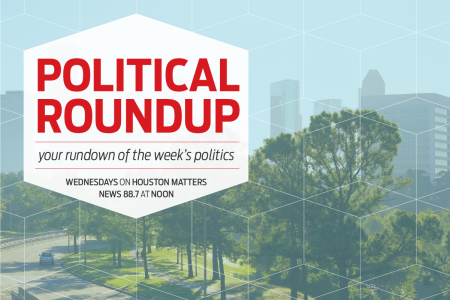 We hear more from Senators Eltife and Bettencourt, and then discuss their respective proposals with University of HoustonÂ economist Steven Craig, and Joe Luppino-Esposito, Editor and General Counsel for the public policy and research organization State Budget Solutions.